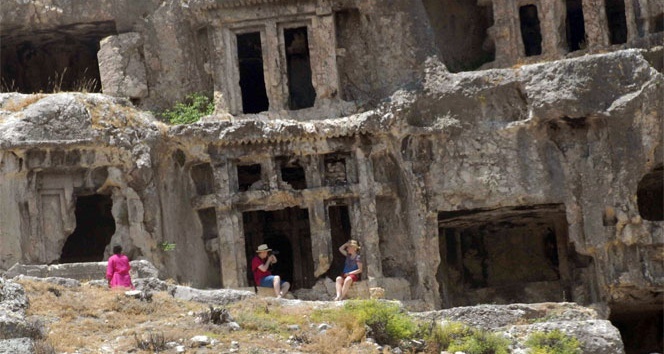 Admire ancient city, Ephesus, House of Virgin Mary, Pamukkale and Hierapolis. Drive to Fethiye and enjoy boat trip. Explore Cappadocia hotspots such as Devrent imagination valley(a lunar landscape), Pasabaglari (Fairy chimneys), Avanos (pottery demonstration with the Hittite technique), Pigeon valley , Uchisar rock-castle, Esentepe (panoramic view of Goreme valley) and Goreme open air museum (rock cut churches, frescos, monastery), Derinkuyu underground city, Ihlara canyon (4 km trek), Belisirma village, Belisirma Village, Selime (Panoramic view point) and Nar Lake. At 19.00 we will transfer you from our office to bus station for 21.00 overnight bus Kusadasi with non smoking, fully air-conditioned bus.